Vidyajyothi Dr. Wijaya Godakumbura, Consultant Surgeon and President of the Safe Bottle Lamp Foundation has been invited to present a paper on ‘Prevention of kerosene burns in low and middle income countries’ at the 2nd Asia Pacific Injury Prevention Conference to be held in Hanoi, Vietnam in November. This is a major international conference organised by their Ministry of Health and sponsored by WHO, UNICEF and AusAid. It would be to be attended by the Prime Minister of the country and Dr Etione Krug, the Director of the ‘Violence and Injury Prevention Unit’ of the WHO is one of the keynote speakers. Dr. Godakumbura has been extensively involved in injury prevention as a member of three injury prevention committees and having his own NGO on ‘Burn Prevention’. He has received three international and three Sri Lankan awards for his ‘Safe Bottle Lamp Project’. Last year, the WHO invited him to attend two consultation meetings; one was held in Geneva to prepare the document entitled ‘A Who Plan - Burn Prevention and Care’ and the other in Manila to prepare ‘The World Report on Child and Adolescent Injury Prevention’. 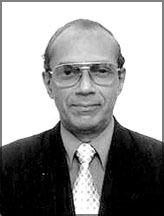 He has contributed many articles on health matters to the newspapers and has also written an award winning book in Sinhala entitled ‘A Doctor Speaks’. Another book in Sinhala on ‘Child and Adolescent Injury Prevention’ with tips to parents as to how to protect their children from accidents is awaiting publication. As injuries account for a third of all hospital admissions worldwide and are the number one cause of death among children and young adults, it would undoubtedly be a boon to the public.